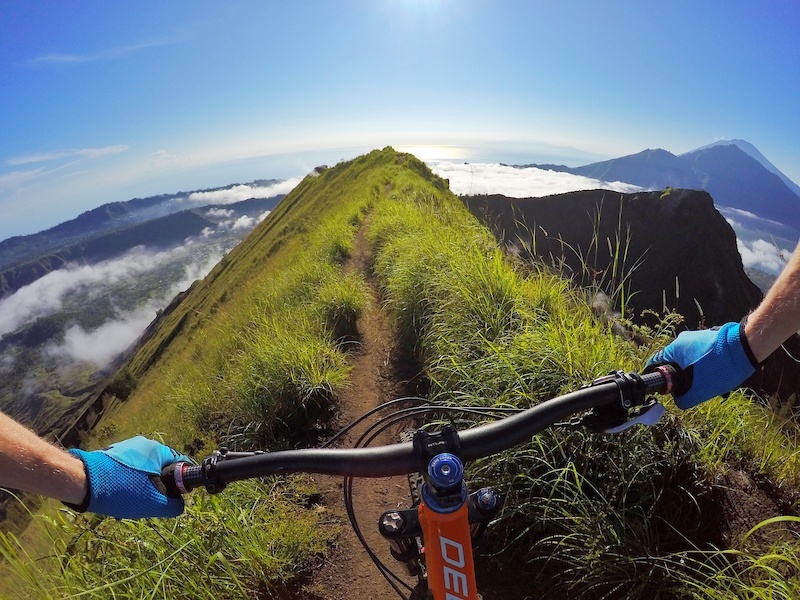 Last year I got an email from Alex at The Chillhouse titled 'Come Mountain Bike in Bali.' Riding somewhere tropical has always been on the list and this sounded like the perfect opportunity. 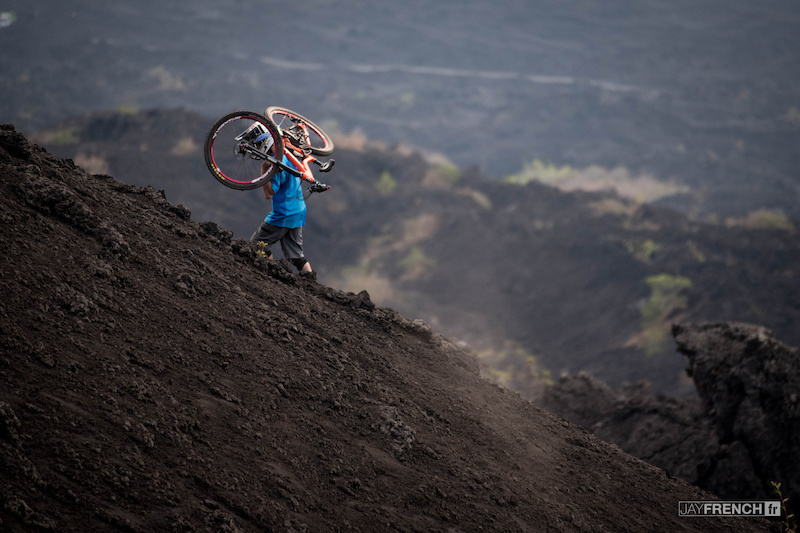 Less than two months later I was shredding down volcanoes and having the time of my life in the Bali Bike Park. 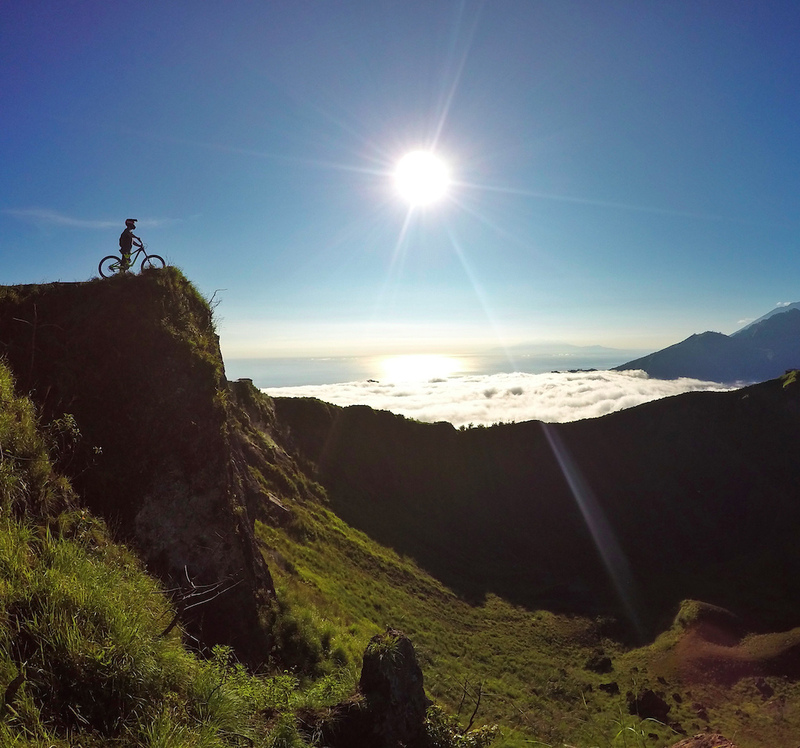 So many firsts were experienced on that trip that I don't even know where to begin, but it's safe to say mountain biking in Bali is totally rad! In fact, it's so good that I had to return again in March. 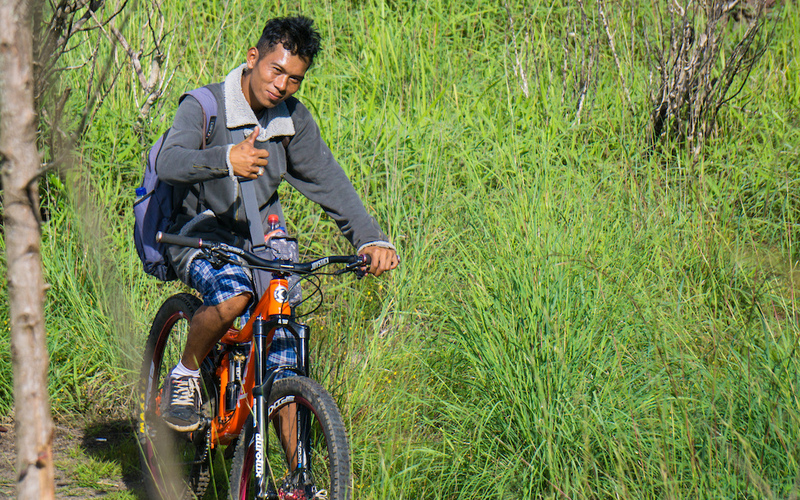 First impressions of the Bike Park: I didn't expect such a developed place for mountain biking in Southeast Asia. It's growing fast too! 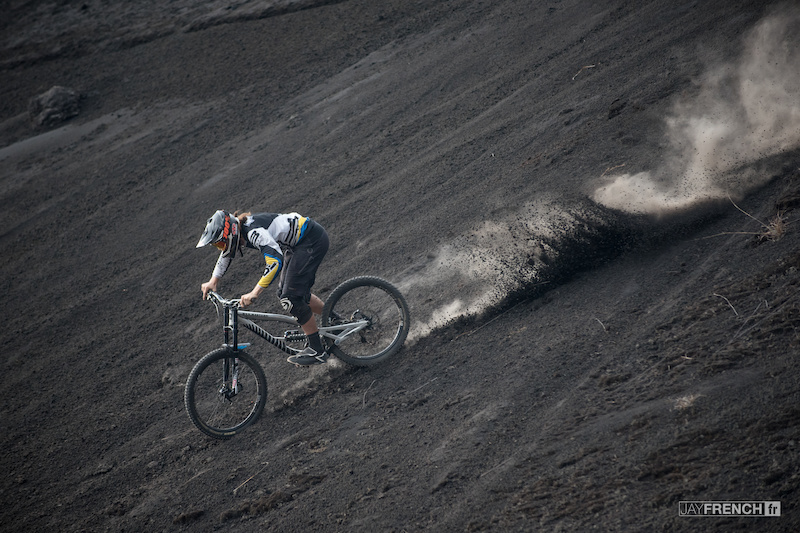 On my second visit to Bali, there was a new big jump line for advanced riders, a new trail, an impressive amount of trail maintenance, and small additions done to the existing lines. It's all hand built too. 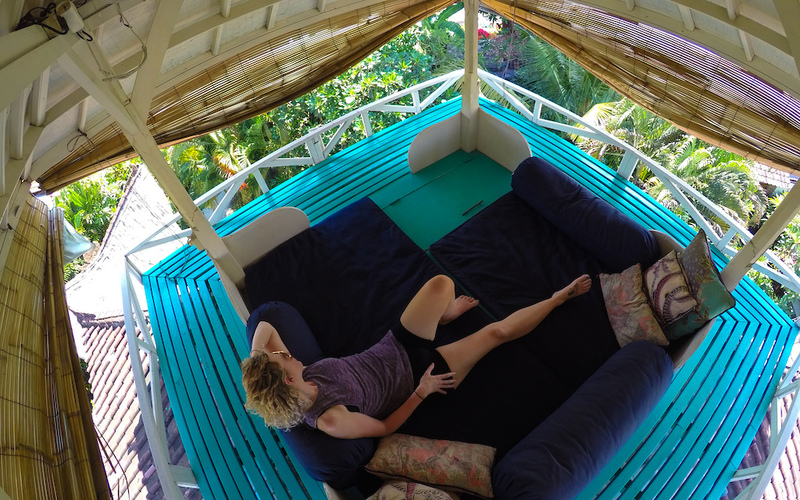 This little island isn't just paradise for surfers anymore and riding in the jungle is a super unique experience. 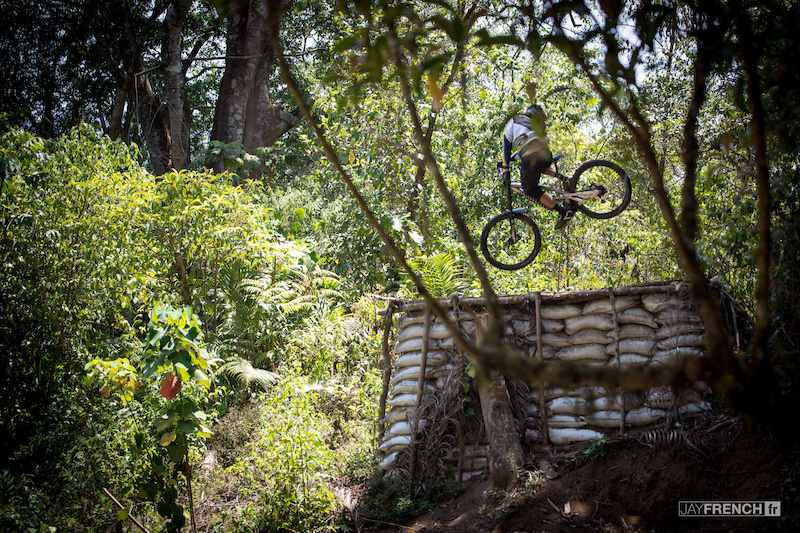 You're surrounded by big tropical trees, ripping through crazy dirt, and sharing high fives with locals; who have to be some of the friendliest and most stoked people on the planet! Just a few months following my two-week visit in November, I was craving a return to paradise. Not only is the riding sick, but there's something about this island that makes you feel a little wiser and in tune with who you are. 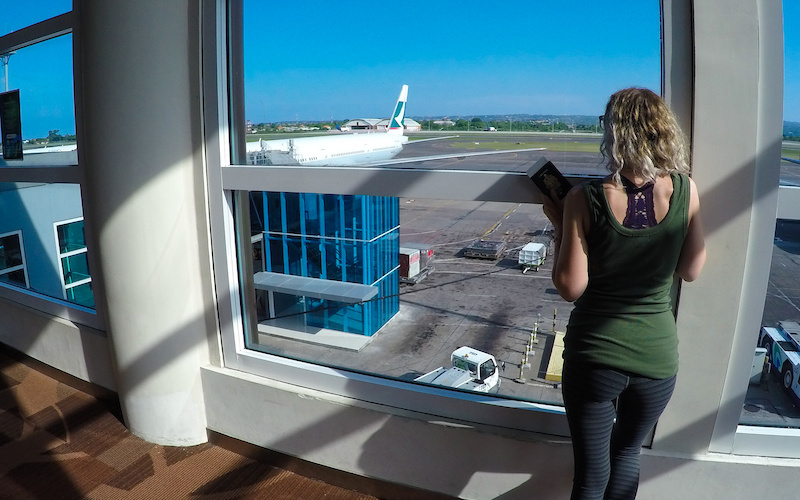 Thanks to the support of Cathay Pacific Airways, I was fortunate enough to make a second trip with my girlfriend Chelsea (who quickly became my personal filming assistant). 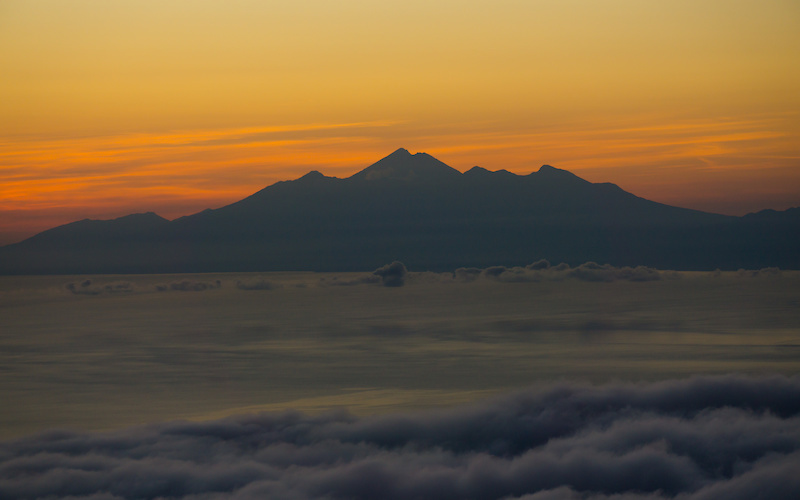 Cathay Pacific Airways not only got us to Bali, but they gave us an unforgettable travel experience. We were provided with premium economy seats, lounge access, and priority baggage. The travel time is a long 24-hour haul from Vancouver, but there were many highlights in our journey. The flight was comfortable enough that we both managed to sleep for six hours. And anyone who has travelled with their riding gear can relate to the anxious feeling of wondering when their bike is going to show up in the oversize luggage area. When I walked off the plane in Denpasar my bike was sitting there waiting for me (unheard of!). Cathay made it a really fun experience for us. 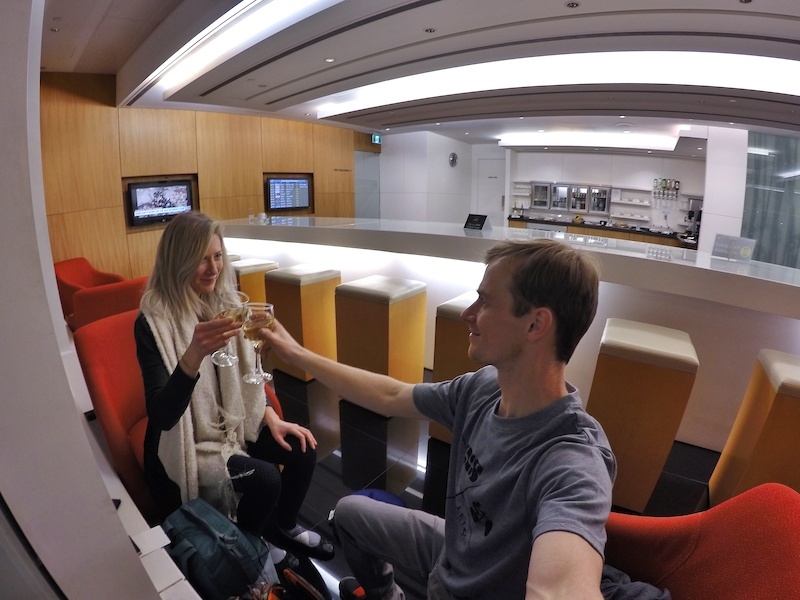 As we sat in Hong Kong's first-class lounge drinking champagne between flights we couldn't help but to feel spoiled. They definitely lived up to their philosophy of a “Life Well Travelled”. We packed up and left the Chillhouse at 2:00 am. A two-hour drive and three-hour hike later I was ripping the most epic singletrack of my life at the top of Mt. Batur's crater rim. What an experience! Two Bali trips later, I still feel like I haven't checked everything off the list on this insanely awesome island. 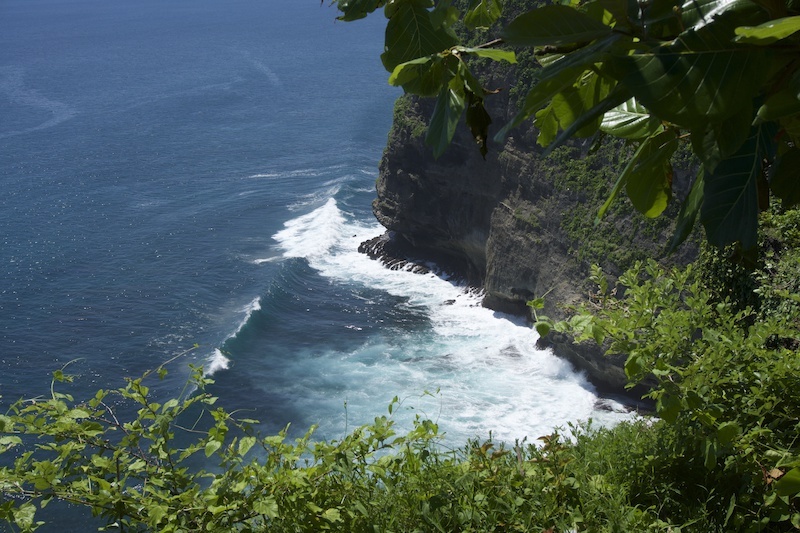 The Balinese have an incredible, relaxed, trusting way of life. To us western worriers this is a very rare feeling. I guess they call it the island of the gods for a reason. Peace out Bali, I'll be seeing you again. We had an awesome time riding with you Mark! Glad you enjoyed Bali and our park! Thank you for verbalizing it. haha there could have been an elephant in that shot. I wouldn't have spotted it..
@nickkk: There was a plane in that photo? Every time I ride somewhere different, I always worry about how the dirt's gonna be! Besides one over zealous bail there,.. (haha) looks like the dirt was pretty good!!!! I'm actually buying my ticket in the next few days for a 4 week trip there and I'll be staying near the bike park. I plan to surf a lot but I'll be bringing my riding gear so i can rent a bike and check out the trails too! Sick Dude!! You're gonna love it! Where are you staying? 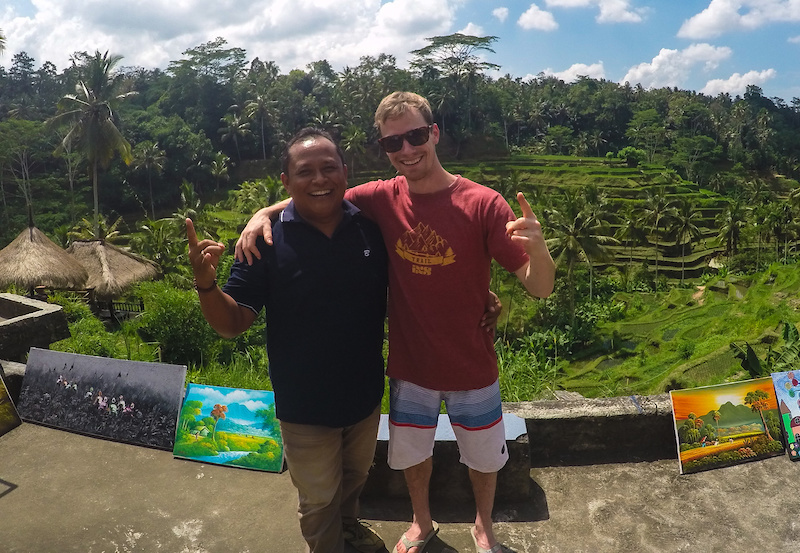 @BaliBikePark: I'm not sure but my buddy lives there and said I can get a house really cheap(U.S. money) for the month, and I mentioned your park and he says he hikes in the area often, so must be pretty close to where he lives. Still looking at accommodations but my buddy is in the Kuta area so I'll probably find something near him, also near surfing. I'll be contacting to rent a Patrol and expect I'll be riding more than just a couple days. I ride a Scout at home so an XL Patrol will do the ticket. 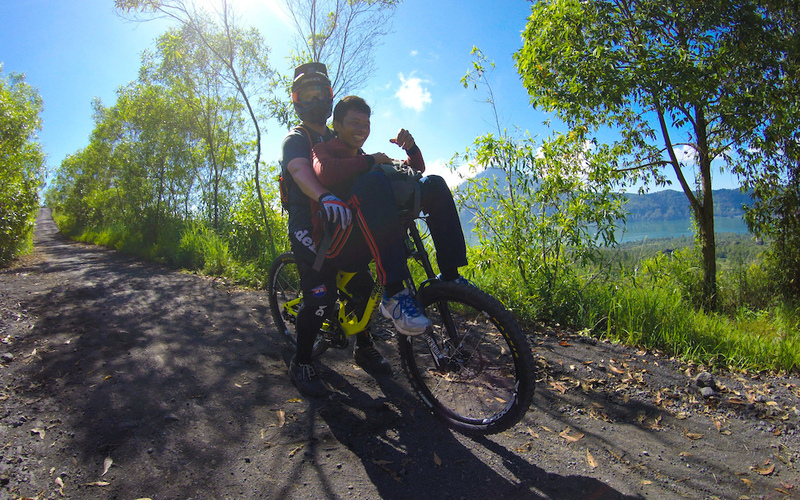 Bali is fun riding and so so much more! Cant wait to check it out. Definitely doing a stop over there on the way back to Australia. Biking and Surfing all week. Sounds like a dream. Surf till you can't paddle. Bike till you can't stand! i already miss my hometown from this video. 0:16 "do you feel the barspin"
Gad to see him back on a bike again. But that edit needed to just be raw - no music. @src248: This f*cked up music seems to be prevalent in alot of edits. #RIP camera. 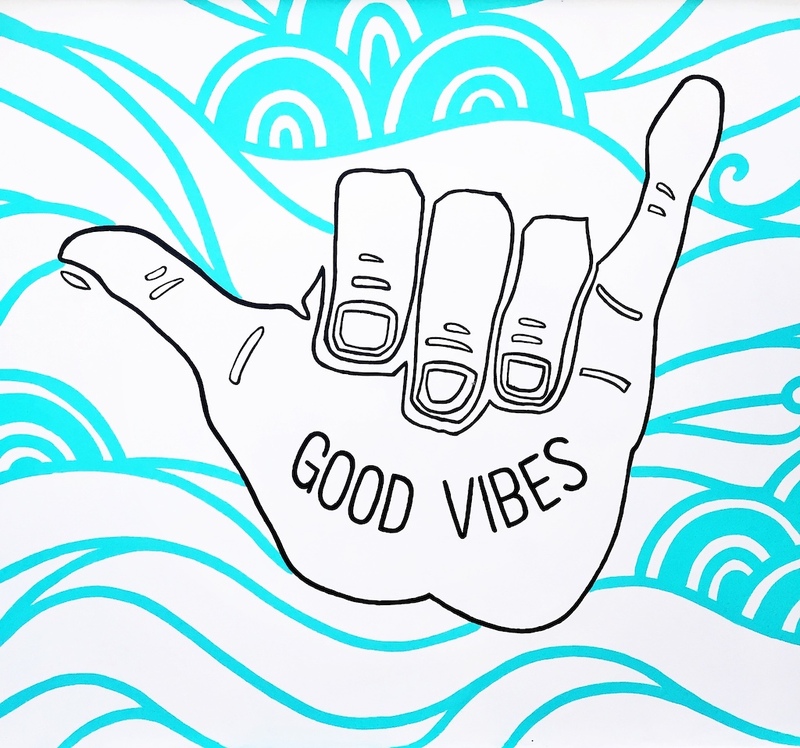 Rad video! Loved the effect the whole edit had on me! If you do to Bali, watch out for the morality police. Come on. You go to Bali, of all places in this world, and you come back with a 1 minute video with 40 seconds of riding.. I would even have settled for a shaky POV! Although that last pic made up for the lack of riding content, but just barely. And there's many POV clips on my Facebook athlete page. I didn't have the support from any bike sponsors to bring a filmer along on either trip.